Paul Kelly Leaves College Hockey Inc.
News broke earlier on this holiday Monday that the Executive Director of College Hockey Inc., Paul Kelly, had resigned his position. The news broke on Twitter this afternoon and the stories started going up at various websites soon after. Because of the Family Day WHL matinee at Rexall Place and then actual Family Day plans, with my family, I was unable to report or offer comment in a timely manner. After the jump, several links to get caught up on the news and some thoughts of my own. 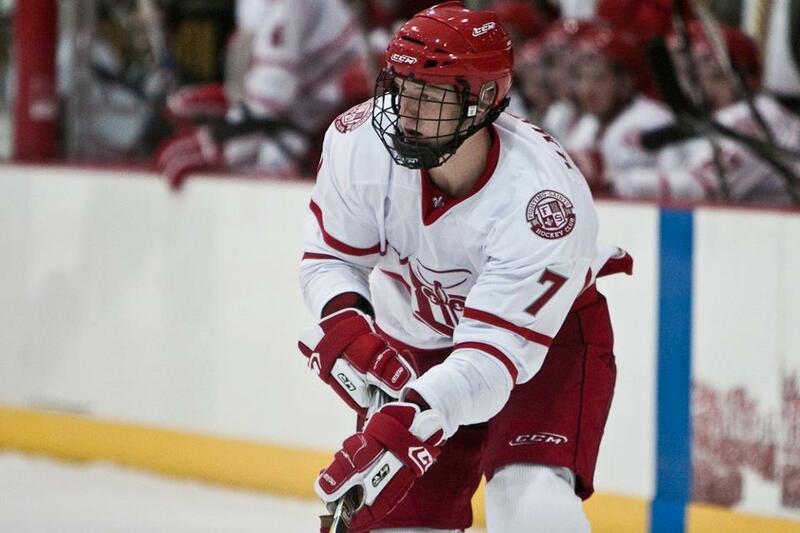 Michael Matheson is a native of Quebec playing his junior hockey in the USHL for the defending champion Dubuque Fighting Saints. His first blog entry here with us was made public back on October 3rd and gave readers a sense of where he's come from and what has led to the position he is in today. He continued his 2011-12 story with chapter 2 at the end of November. Here now is the third chapter in the 2012 Guest Player Blog written by defenceman Mike Matheson. Below are the February rankings for the 2012 NHL Entry Draft. The Everett Silvertips have called a news conference on Wednesday where they will name their new General Manager. As we reported a couple of weeks ago, we're still hearing that it will be Garry Davidson, the current Director of Player Personnel for the Portland Winterhawks. The NHL Trade Deadline is exactly two weeks away. You'll be able to follow the day's events live as they happen in Edmonton on the TEAM 1260 as every on air guy at the station, including The Pipeline Show, will be a part of the festivities on February 27th. The Edmonton Oilers are expected to be active and according to TPS weekly guest Daren Millard from Sportsnet, two forwards in particular are expected to move and both might be gone before the 27th. We spoke with Daren on Saturday morning and in talking about Ales Hemsky and Ryan Smyth, the NHL Insider offered up possible destinations which opens the door to speculation on possible returns. I was going to write a big feature on Emerson Etem's blazing scoring pace but realized I'd already done that story this year. So instead, re-read that one but keep in mind that the Medicine Hat Tigers forward and 1st round pick of the Anaheim Ducks now has 51 goals in 50 games. With 15 games still left on the schedule, Etem is currently on pace for 66 goals. 70 is not out of the question and if he can hit that mark... is Pavel Brendl's 73 from 1998-99 realistic? The Edmonton Oil Kings were the hangover to the Calgary Hitmen party that has been taking place the last few weeks. Calgary went on a remarkable run winning 15 of 16 including an 8 game win streak and are now jockeying for a home playoff series instead of a lottery pick. However play time was over Wednesday night at the Saddledome. Or should I say, 'Say it is Sioux...again." This is terrific news, and while I don't understand all the details there is some great information here and here. All I know is I think it's one of the best logos and nicknames in the game. I think it would be an honour to have something like that for my heritage. Hopefully it sticks for good. I'm sure it will come up this Saturday 10-noon mst on the TEAM 1260. 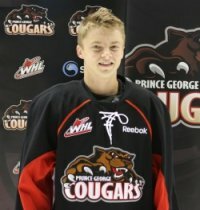 In past years we've heard from Brett Connolly of the Prince George Cougars and in the future Alex Forsberg will be a focal point in PG, but this year the Cougars have Troy Bourke who will hear his named called at the NHL draft. He currently leads Prince George in scoring and put up 21 points in 21 games through Nov/Dec earlier this season. Earlier this year we have heard from Michael Matheson of the Dubuque fighting Saints in the USHL, Cody Ceci of the Ottawa 67's, Everett Silvertips captain Ryan Murray and Brendan Gaunce of the Belleville Bulls. In his own words we introduce you to Troy Bourke. Goaltending was not the reason why Canada failed to end its World Junior gold-less streak in Alberta. Both Mark Visentin and Scott Wedgewood were adequate netminders that played very well at times during the 2012 event in Edmonton and Calgary. Still, the position is a concern for Hockey Canada moving forward and it won't get any easier in 2013 as it will be four new goalies vying for the coveted role as the starter. Visentin, Wedgewood and even the other two camp invites (Tyler Bunz and Louis Domingue) are all too old to take another crack at the WJC. 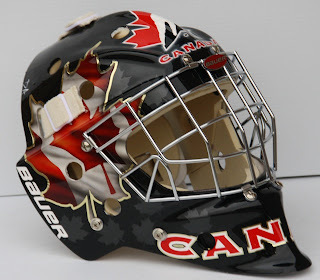 So who stands the best chance to be between the pipes for Canada in Ufa, Russia come Boxing Day 2012? The Super Bowl has come and gone and with it so to have the hopes of many who wagered on Tom Brady and the New England Patriots. Why do I bring this up on a blog dedicated to prospect hockey? So not only is Deano the second prettiest host on The Pipeline Show, (and clearly the runner up in the same category over at Global), but now Dean will also have to man up and make good on his bet. 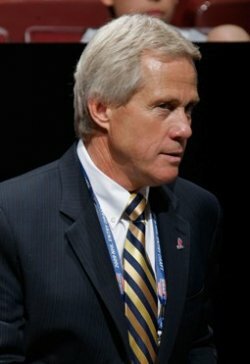 Portland Scout to be new Everett GM? Some talk today that the replacement for Doug Soetaert in Everett may come from a U.S. Divisional rival. Just whispers right now but the name Garry Davidson has come up. The Manitoba native played minor pro hockey during the 1970's, coached in the BCHL during the 1990's and is currently the Director of Player Personnel for the Portland Winterhawks. We are attempting to book a representative from the Sivertips as a guest for TPS on Saturday morning. By then we may have more to talk about than simply the release of Soetaert. Breaking news coming out of Everett that the Silvertips have fired General Manager Doug Soetaert. Beat writer Nick Patterson broke the news on Twitter about an hour ago. I touched base with a handful of league executives. Some expressed shock, one called it "classless" and another suggested that it wouldn't take long for Soetaert to land on his feet again elsewhere in the WHL if that was what he wants.